DM Select Services fleet of air conditioning and heating service and installation professionals are prepared to solve your problems in a prompt manner. Our respect for every single Fredericksburg customer and high quality of service is proven by our A+ rating with the Better Business Bureau and exceptional reviews on Yelp, Google and Angie’s List. We serve Frederickburg’s residential and commercial heating, air conditioning and plumbing needs. For peace of mind about whom to contact when you have problems with your AC system, call our expert technicians at 540-358-8624 at DM Select Services. With 30 years of local experience and thousands of satisfied customers, we are here to help with the kind of knowledge, experience, and skilled expertise that you should expect for the highest quality air conditioner repair. When it comes to your AC, we understand how stressful it can be to experience problems, especially during the hottest months of summer. Our air conditioning experts service any and all AC issues you may be dealing with, and are available often with same-day service. Although having your air conditioner functioning properly during the summer is essential, air conditioning systems can also be vulnerable to problems during the colder months. As temperatures dip to their yearly lows during the winter, the AC unit on your property can actually freeze. DM Select professionals are on call any time to provide necessary ac repairs or installations as needed to ensure that your AC system is fixed and capable of functioning at peak performance. We make the process as simple, quick, and worry-free as possible for you so that your business office or home environment is always comfortable for your employees and your family’s needs. For friendly and efficient AC repair, maintenance, and installation services call DM Select Services today at 540-358-8624. When you need to hire an HVAC Virginia contractor with the specialized knowledge and expertise to keep your heating and cooling system operating at its best, you can always rely on DM Select Services to show up and deal with any problem, large or small. Serving the residents of Fredericksburg and Stafford County, we use our client-centric approach to save them money by keeping their HVAC systems purring. When there’s an unrepairable breakdown we’re also there for you with optional financing to install a modern, cost-saving HVAC replacement system that will save you money in utility bills for years to come. As a local heating and air contractor, our services include regular HVAC inspections, HVAC maintenance for any small issues, and HVAC repair day or night in any season for residential and commercial properties in Fredericksburg. Unlike many other local heating and cooling companies, we have over 60 years of combined experience in the industry. Our HVAC experts have the knowledge and skills needed to find any problems in your heater, AC, ventilation, heat pump or thermostat, even minor issues that can lead to larger problems over time, along with the associated cost of repairs. Wear and tear to your HVAC system won’t go undetected by our team of professionals. We have saved home and business owners much hard-earned money with our premium HVAC services. Whether it’s routine maintenance or an emergency repair, we arrive quickly and do what it takes to keep your air conditioning and heating running efficiently and your energy bills as low as possible. Contact us today for HVAC Fredericksburg VA service. Whether you need a commercial HVAC contractor or a home heating and air company, call DM Select Services at 540-358-8624. For reliable local heating repair Fredericksburg VA, you can always depend on DM Select Services contractors and their highly-skilled technicians. When the temperature plummets in winter, a sub-optimal heating system is not what you want in your home or business! A flawed heating system keeps your heating bills high, but can leave you in dangerous low temperature conditions. For the best heater inspections to regular maintenance and furnace or HVAC repair services, we provide competitively-priced solutions for your heating needs. We service both residential and commercial properties in Fredericksburg, and no heating system is too big or too small for our trained technicians. Our experienced and courteous HVAC experts are equipped to isolate any problems in your heating system. With our maintenance and heating repair services, your heating system will operate better than ever and save you money in your monthly heating bill by ensuring that your heater or HVAC equipment is running efficiently. Whether you need furnace repair services, thermostat replacement, heat pump repairs, or HVAC maintenance, DM Select has it covered. Our long-term commitment to our Fredericksburg HVAC clients is evident in the hundreds of enthusiastic reviews posted everywhere on social media. We treat every customer in the local Stafford County area with the highest regard and care for their heating systems. When you need the best local heating contractor, just call DM Select Services at our nearby Burke headquarters and we’ll be there for you. Call 540-358-8624 today to talk with one of our friendly technicians. Book an inspection, repair, replacement or new heater installation today. When you need a Fredericksburg air conditioner repair service, there’s a reason DM Select Services is the industry leader in Stafford County. We put customers first, every time. Give us a call at 540-773-2264 for a courteous and professional technician to check out the problem right away, and even 24/7 for those extreme weather emergencies that come up when you least expect. Our AC repairs are available to both residential and commercial properties. When the heat is through the charts, the last thing you want to deal with is a failing air conditioner. But air conditioner services aren’t essential only in the hottest temperatures—even in cold weather, a faulty air conditioner can allow the freezing temperatures into your home or office. Air conditioners that have leaks or other problems can cause fluctuating temperatures and increased electric bills. It’s essential that your air conditioner is always in optimal condition to keep your indoor temperature comfortable for your family and your employees, as well as to keep your energy bills low. With decades in the air conditioning industry in Fredericksburg and all of Northern Virginia, we’ve earned our customers’ trust by putting their needs first. Our client-centric approach gives us the opportunity to create lasting customer satisfaction since they know they can rely on DM Select Services for their air conditioning service. Call us at 540-358-8624 for air conditioner repairs, central air installation, air conditioning maintenance, and commercial air conditioning service. Whenever you need an air conditioner repair service in Fredericksburg, VA, there is a good reason why the industry leader for Frederick County is DM Select Services. We always put our customers first, each and every time. Call us today at 540-358-8624 for a professional and courteous technician to check on your problem right away and on a 24/7 basis for the extreme weather emergencies that always seem to arise when you least expect it. We provide AC repairs for both commercial and residential properties. Whenever the heat is through the roof, the very last thing that you want to have to deal with is a broken or failing air conditioner. However, air conditioner services are not only essential in hot weather – even when it is cold, having a faulty air condition may allow freezing temperature inside your office or home. Air conditioners with leaks or other issues might cause increased electric bills and fluctuating temperatures. It is critical to keep your air conditioner in optimal condition at all times so that your indoor temperature is kept comfortable for your employees and family and to reduce your energy bills. With decades of experience working in the air conditioning industry and providing services to Fredericksburg and all areas in Northern Virginia, we have earned the trust of our customers by placing their needs first. The client-centric approach that we take allows us to create customer satisfaction that is long-lasting because they know that they can depend on DM Select Services for all of their air conditioning service needs. Give us a call at 540-358-8624 for commercial air conditioning service, air conditioning maintenance, central air installation, and air conditioner repairs. For dependable local heating repair in Fredericksburg VA, the contractors and highly skilled technicians at DM Select Services can always be relied on. Whenever the temperature drops in the winter, having a sub-optimal heating system definitely isn’t what you want your business or home to have. A faulty heating system will cause your heating bills to be high, but at the same time leave your home or building dangerously cold. From the best HVAC repair services and regular maintenance to heater inspections, we provide affordably-priced solutions for all of your heating needs. 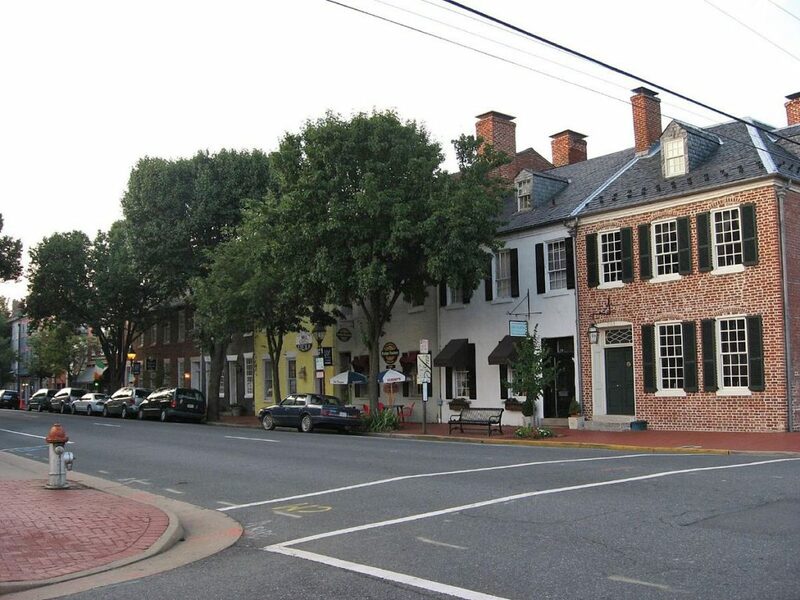 We service both commercial and residential properties in Fredericksburg. There are heating systems that are too small or too big for our highly trained technicians. Our courteous and experienced HVAC experts are fully equipped to isolate whatever problems your heating system might have. With our heating and maintenance services, it will result in your heating system operating better than it ever has and helps you save money on your monthly heating bills through making sure that your HVAC equipment or heater is running as efficiently as possible. Whether you need HVAC maintenance, heat pump repairs, thermostat replacement, or furnace repair services, DM Select can handle it for you. Our long-term commitment to all of our Fredericksburg HVAC customers is clear in all of the hundreds of positive reviews that are posted all across social media. We treat each client within the local area of Frederick County with the utmost respect and take great care of their heating systems. Whenever you need the best local heating contractor, give DM Select Services a call at our local Burke headquarters and will be right there for you. Call us today at 540-358-8624 to speak with one of our friendly technicians. Schedule a new heater installation, replacement, repair, or inspection today. Our expert air conditioning technicians at DM Select can diagnose and repair your air conditioner with friendly 24/7 service. Give our air conditioning service experts at DM Select in Fredericksburg Frederick County for air conditioner repairs, HVAC service, heat pumps, thermostat replacement, duct cleaning and furnace repairs in Fredericksburg VA for your business or home. Whenever you need to hire an HVAC contractor in Virginia who has specialized expertise and knowledge for keeping your cooling and heating system operating at its absolute best, you can always depend on DM Select Services to deal with whatever problem you have, small or large. Serving residents of Frederick County and Fredericksburg, we use a client-centric approach that saves our customers money by making sure their HVAC systems continue to perform at their very best. Whenever there is a breakdown that is unrepairable we will be there or you as well with optional financing for installing a cost-saving, modern HVAC replacement system that can save you money on your utility bills for many years into the future. As a local HVAC contractor, our services include HVAC repair services, HVAC maintenance for all small issues, and regular HVAC inspections day or night in all seasons for both commercial and residential properties in Fredericksburg, VA. Unlike many other local HVAC companies, we have more than 60 years of combined industry experience. Our HVAC experts have all of the necessary skills and knowledge for finding any problems in your AC, heater, thermostat, heat pump, ventilation, including minor issues that may lead to bigger problems over time, as well as all of the associated repair costs. Wear and tear on your HVAC system will not go undetected by our professional team. We have saved businesses and homeowners their hard-earned money with our professional HVAC services. Whether it is an emergency repair or routine maintenance, we will arrive quickly and then do whatever it takes to make sure your heating and air conditioning are running efficiently and that your energy bills are kept as low as possible. Call us today for HVAC services in Fredericksburg, VA. Whether you need a home HVAC company or commercial HVAC contractor, give DM Select Services a call at 540-358-8624.